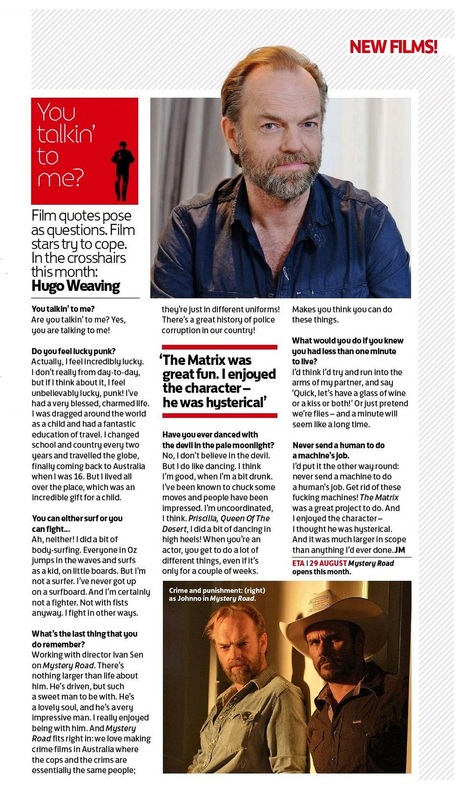 Anyhow, a second recent interview has now surfaced in The Observer; like the Total Film piece it’s tacitly meant to promote Mystery Road, but the film isn’t mentioned in the published version, which appears to be heavily edited (the questions aren’t even provided… I don’t think the interviewer called Hugo up and said “OK, we’d like a list of random observations and biographical factoids for our Things I Know feature.”) 😉 Clearly he was steered toward certain subjects and his answers truncated, as Hugo doesn’t tend to speak in soundbites. But what was published retains his typical self-effacing charm. I’m going to post the print version from The Observer, but the full interview was also posted online via The Guardian (and you can read other celebrities’ thoughts in their Things I Know archive). Typically, they picked the most potentially embarrassing or attention-getting sentence for a headline in the online version, but as least– unlike Cover Media– they didn’t make something up. 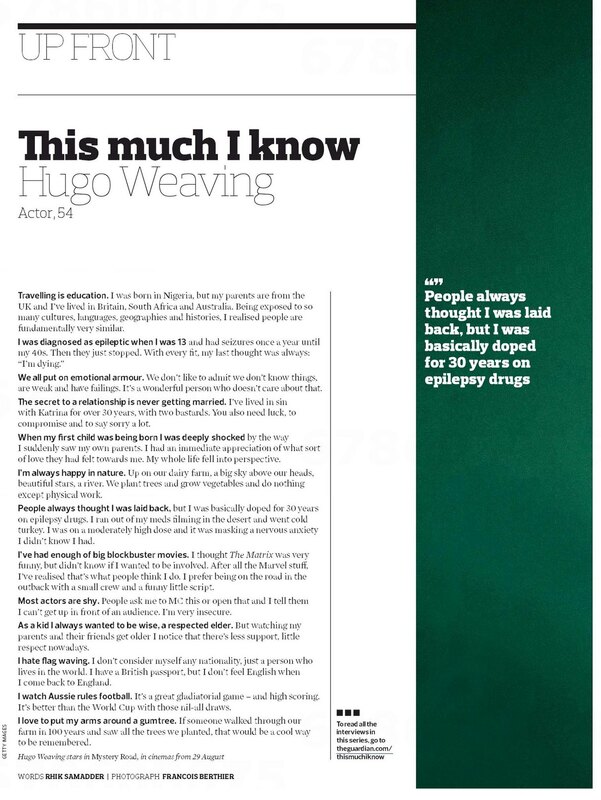 And there are some new details about Hugo’s history of epilepsy, family life and interests that he hadn’t previously shared. 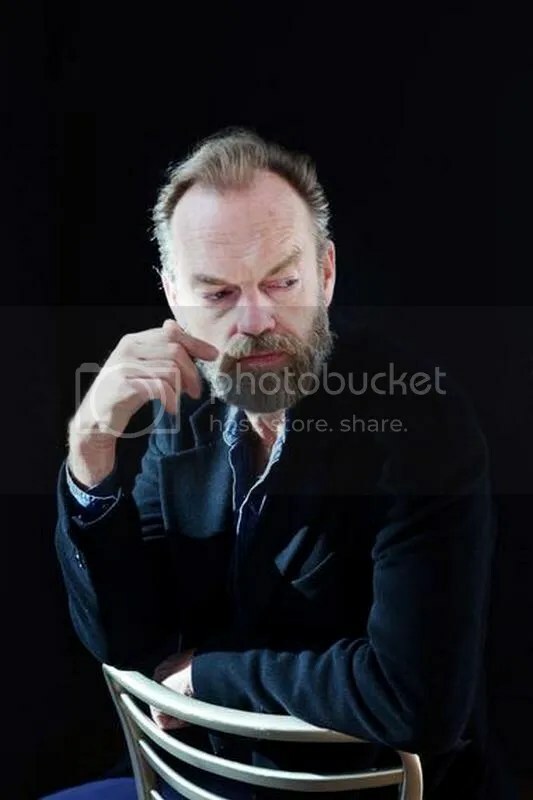 (I’m now wondering which film forced Hugo to give up his meds– it could be Last Ride, Mystery Road or even Strangerland. I know he said in 2006 that he still took medication, though he’s been asymptomatic for over a decade.) 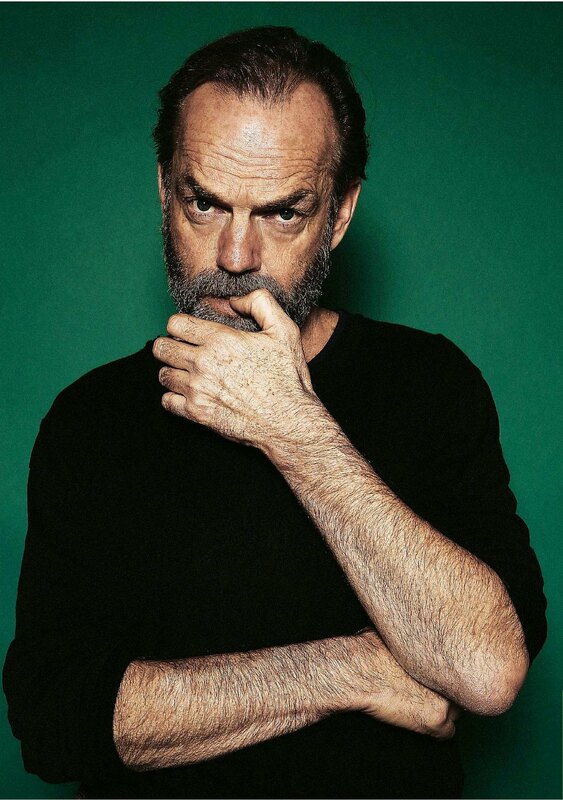 Also, the lovely Francis Berthier portrait– taken at this year’s Berlinale– is unique to the print version. So here you go. For the record, Hugo has done tons of public appearances and speaking at various events over the years; in previous interviews he’s said he finds one-on-one interviews easier than big public events; he has made public appearances for various charities and (obviously) film promotion, but is reticent about being the “public face” of anything, and dislikes premieres, though he often attends those for his own films. And he served as Jury President for last year’s Sydney Film Festival, though he let the other panelists choose the prize winner against his personal inclinations. All of this meaning to say he’s somewhat shy and dislikes publicity for its own sake, but isn’t an anxiety-driven recluse. In group interviews– even those for Macbeth– he’s tended to let others dominate the conversation, but is thoughtful and articulate in giving his own impressions. Mystery Road has been positively received in most of its recent UK reviews; you can read the latest at Melissa Wellhem’s Blogspot, Film Reviews & News, Why Is Wilhelm Screaming, HeyUGuys, Loose Lips and Culturefly. The UK Blu-Ray is released 27 October, with similar specs to the Australian edition; more details at Blu-Ray.com. The US Blu-Ray for Mystety Road will be released 24 September by Well Go USA, but several DVD/Blu-Ray sites have troublingly listed a run time of “92 minutes”, a fuil half-hour short of the film’s original runtime. (The cut I saw at the Hampton’s Film Festival last fall ran 122 minutes, and I didn’t think a single one didn’t belong.) Blu-Ray News and Rock Shop Pop Forums provide other details. I’d love to hear from anyone connected to Well Go or the film itself about this running time issue, as I can’t in good conscience recommend a heavily-edited version of this film. (The UK version is uncut, by all accounts). I do love the US cover art, though. You’ll also want to keep an eye on STC’s Twitter Feed for daily updates on any new ticket releases; the show is formally sold out through September, but in addition to Suncorp Twenty, STC has periodically released a few tickets they’d previously kept under wraps. 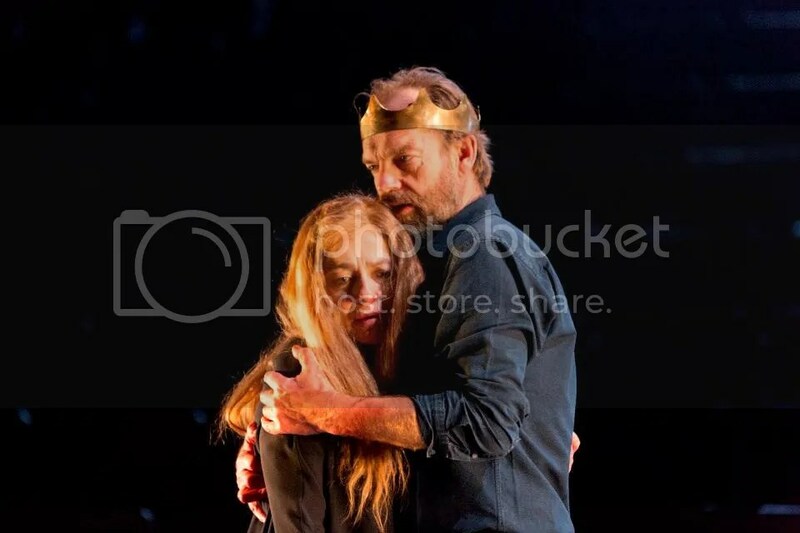 I also note any online re-sales of Macbeth tickets I find visa my own Twitter feed. Also: Broadsheet profiled production designer Alice Babidge. 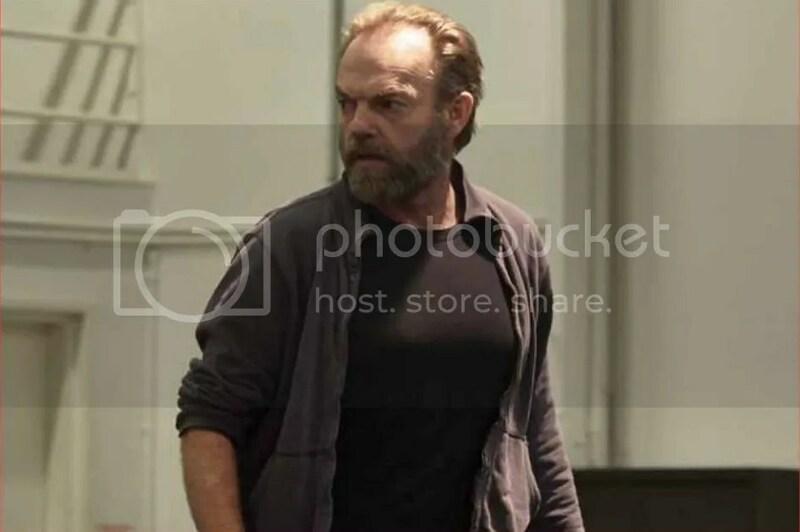 And included some nice, big preview, rehearsal and production pics. Again, my undying thanks to everyone who shared their thoughts and photos. Unless STC decides to tour this production (or change their mind about filming/simulcasting) you’re all I have. With Australian and US releases slated for the coming months, the black comedy The Mule has snuck in a few festival screenings recently, including the New Zealand International Film Fest which garnered the following review (click links for full version). It’s next slated to screen at Fantasy Film Fest in Berlin several times 29 August through 12 September. Check their website for full details and ticketing info. Kim Farrant’s film is currently amid second unit shoots in the Alice Springs region, according to NT News. 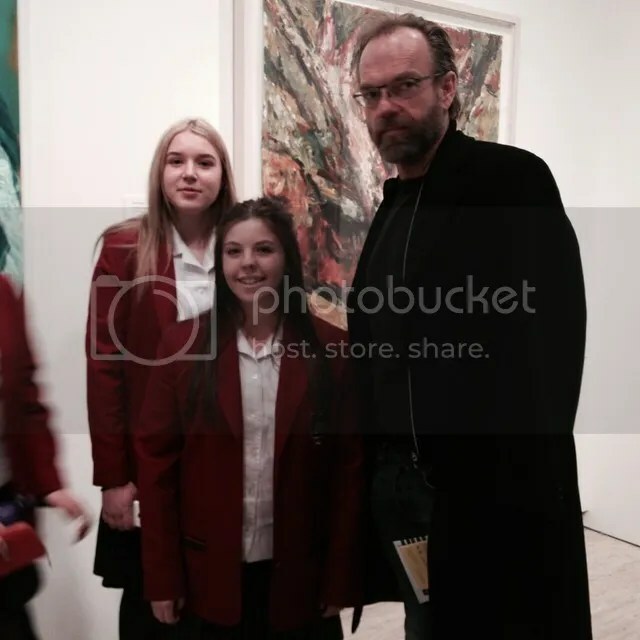 The lead actors (Nicole Kidman, Hugo Weaving and Joseph Fiennes) aren’t involved, but the sequences being filmed include 50 local extras and depict the Special Emergency Services volunteers’ efforts to find the missing children whose disappearance forms the central mystery of the film’s plot . 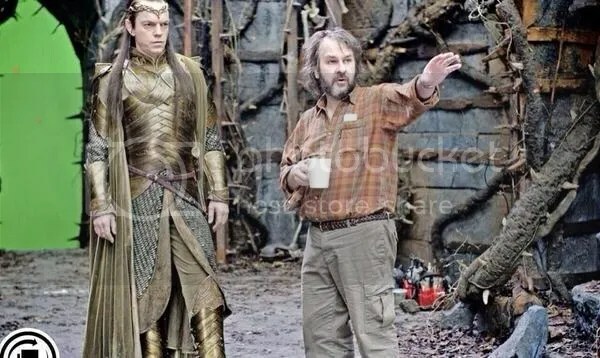 Cinematographer Chris Tagney has also included some photos and updates on his Twitter feed. 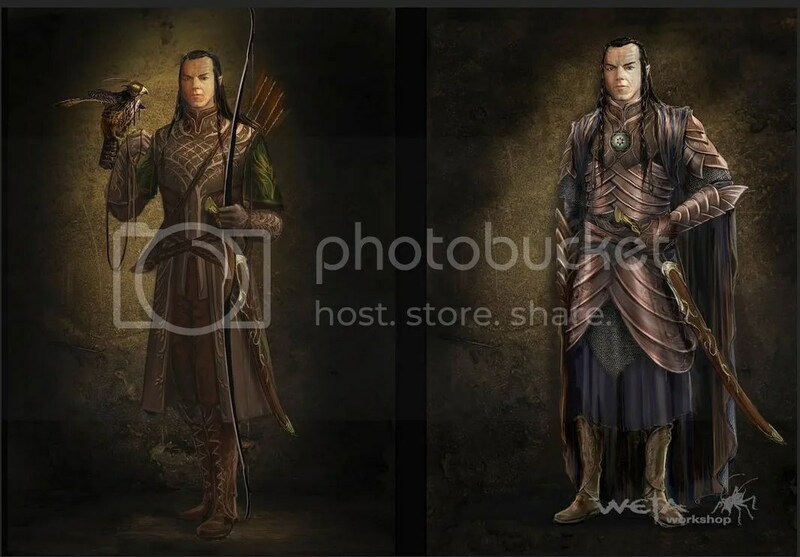 The film is scheduled for release in “mid-2015”. 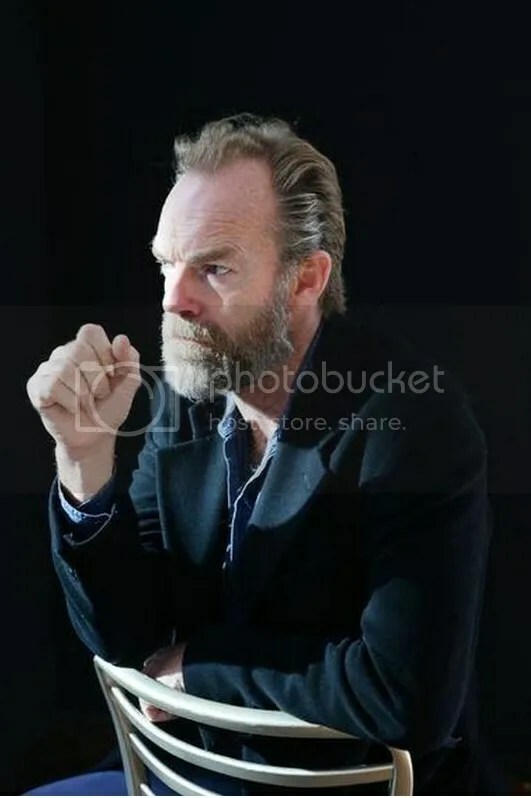 I’ve finally set about to properly organize the decade (plus)’s worth of Hugo Weaving photos I’ve been storing at Photobucket since 2005 and make the properly annotated pics viewable to other fans. Though I’ve already shared these images via Hugonuts in most cases, I thought fans might like to see them without having to scroll through years of blog posts. It also gives me something to share (in addition to Flickr Print/Digital articles at that other archive) when I don’t have time or enough material for a full Hugonuts post. Also, it’s a way to properly organize and back up my photos for my own purposes– the current Photobucket archive is such a mess that it can take hours to track down a specific photo if it’s not recent. 😉 There isn’t much t the public annex just yet, but I’ll try to add new albums on a regular basis. It’s organized by year, and from there by event, film, or in some cases by photography session. 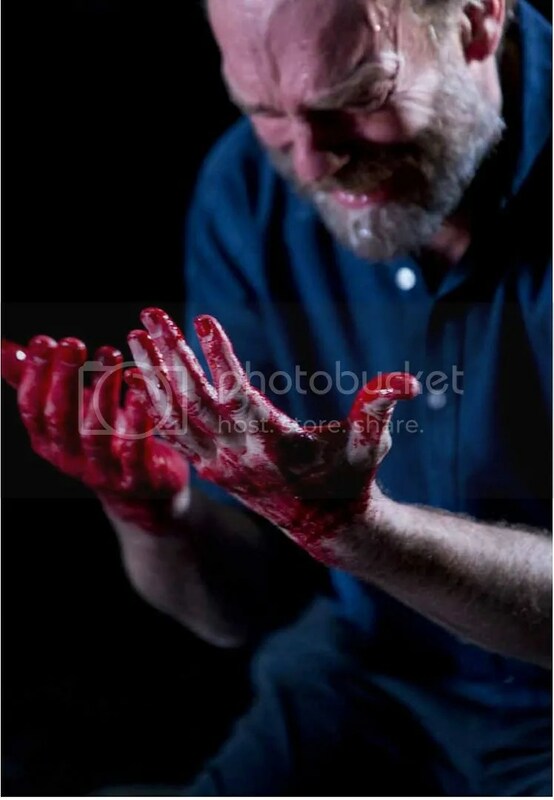 You’re free to view or download anything you like, but if you reblog, PLEASE don’t decontextualize the image, ie repost without the photographer and source info. 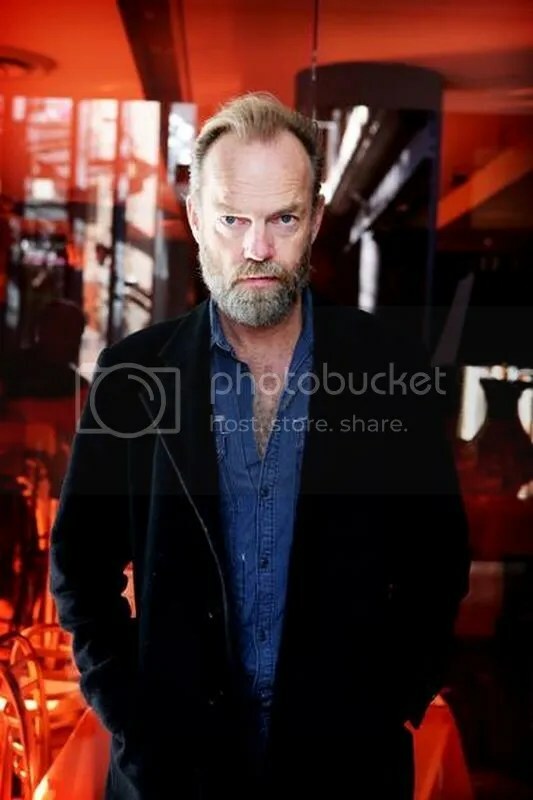 You don’t know how crazy I get when I see a heretofore unknown Hugo Weaving photo posted without ANY date, photographer or context info. 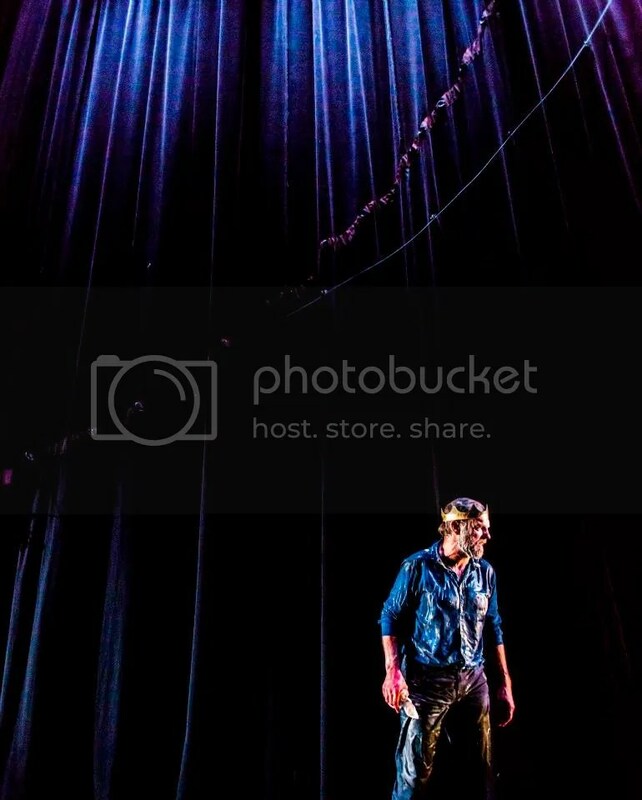 It’s our responsibility as good fans to credit those who share their work (and take such great pictures of Hugo). Anyhow, here’s the link to the brand new Hugonuts Photo Archive at Photobucket. Updates to this archive will be noted via Twitter as they happen. 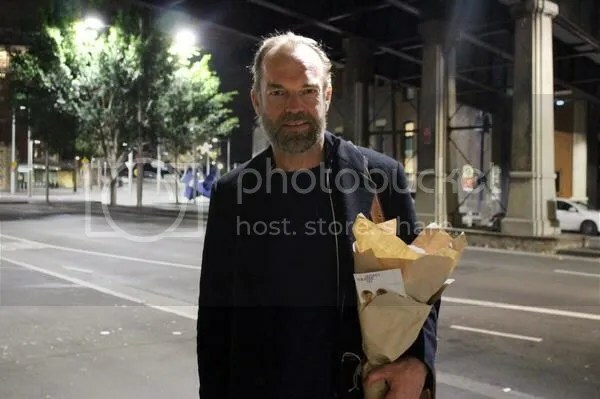 Speaking of the Flickr Hugo Weaving Article Archive, I’ve recently added a vintage articles about Frauds (1993) from Cinema Papers and a more recent piece on Healing from Australian Wildlife Secrets in addition to the interview pieces featured here. I’ll be adding a classic 2002 Hugo interview/Two Towers article I’ve finally gotten a physical copy of (after a dozen years of searching) but it arrived slightly faded and scrolled, so it’ll need to be flatened out before scanning and retouching. But I can’t wait to share that one. 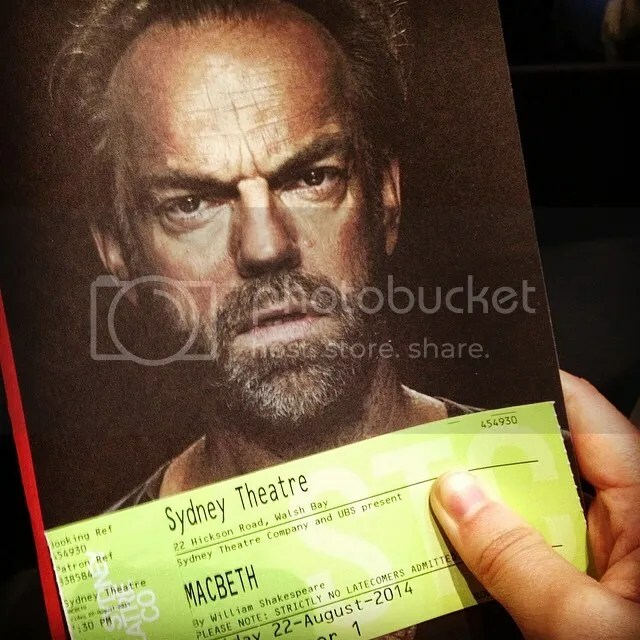 Sydney Theatre Company held its customary post-show Q&A session with the cast of Macbeth (A Night With The Actors) following the 11 August performance; the event was also live-tweeted; unfortunately, I had a prior commitment and was unable to follow the event live, but here are STC’s tweets in chronological order. 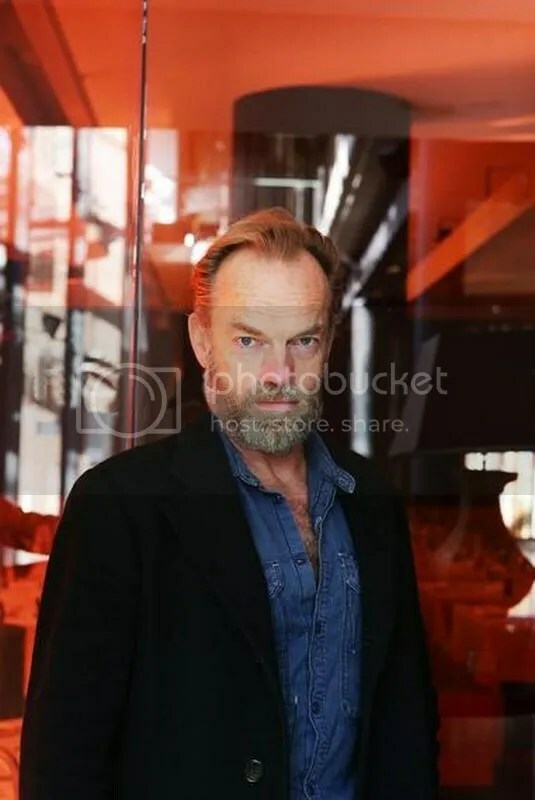 Hugo Weaving and the full cast participated, taking questions from a moderator and the audience. Polly Rowe, STC Literary Manager kicks off #audinight with a question for Kip: what made you do this in a reversed Sydney Theatre? As always, if I come across/am provided with a more complete transcript of the event, I’ll share that when it becomes available. 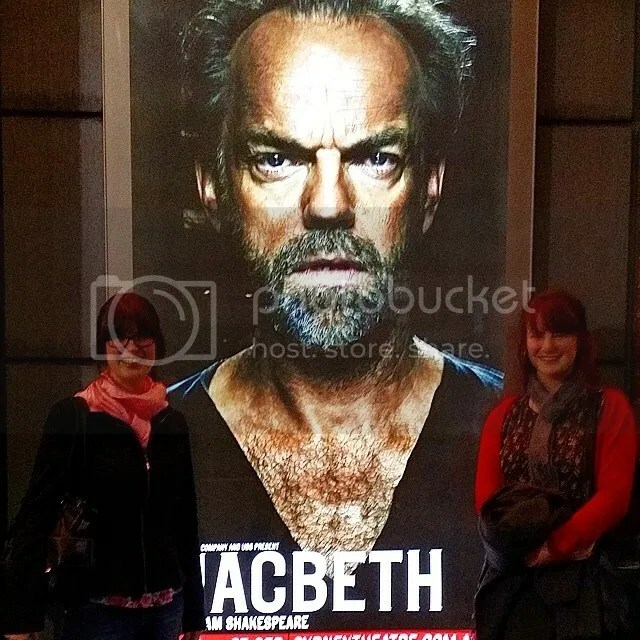 Macbeth’s extended run ensures that new reviews continue to appear day to day as more people are able to see the production. 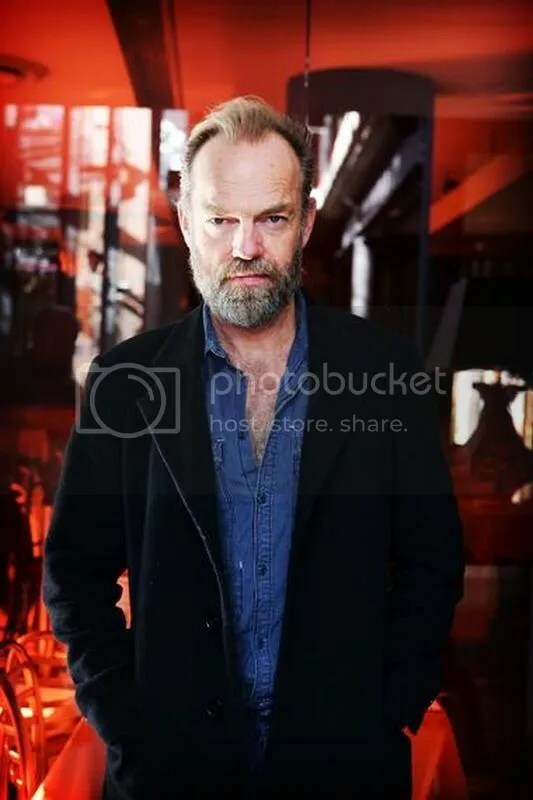 Most continue to be very positive about Hugo Weaving’s lead performance, and the audacity of Kip Williams’ inverted staging. 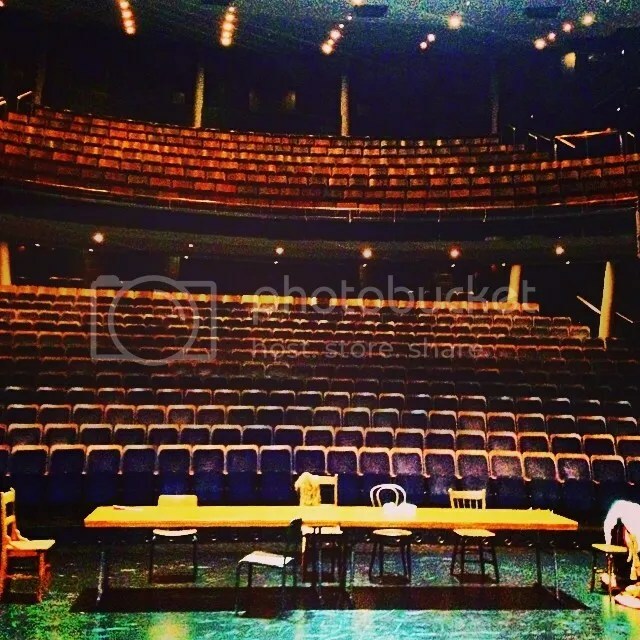 The “uncomfortable seats” remain the least popular element; Those who take issue with the staging reversal are all over the place as to why they had issues, with some wishing more of the drama unfolded among the seats while some finding that aspect compromised. Audiences are divided on Melita Jurisic’s angst-ridden Lady Macbeth, the different acting styles of some cast members (though all have a strong number of champions as well) and the “slow”, sedentary first act. 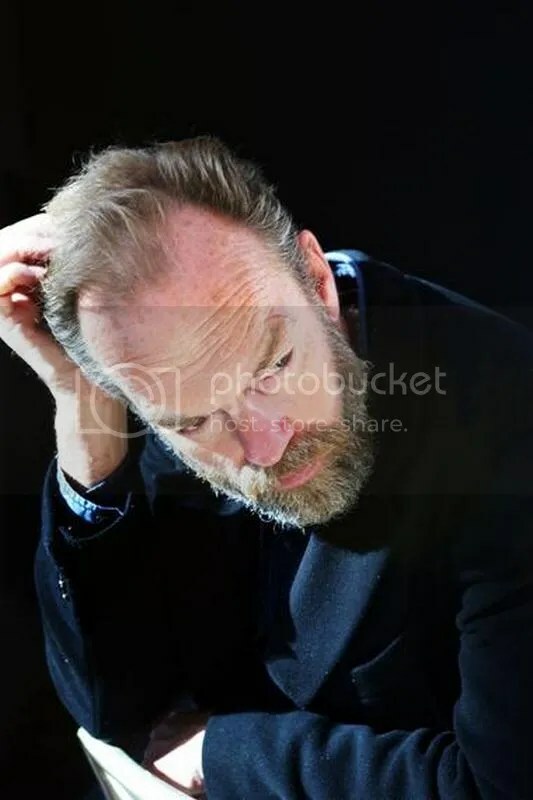 I understand the reason for the latter in theory, as this production is as much about a group of actors being overtaken by the play as it is about the infamous characters. I’d have to actually see the production to gauge how effectively the gambit played out, though I admire most of what I’ve heard conceptually and have full confidence in Hugo’s abilities. And this is where I’m going to once again beg the STC to reconsider filming and/or simulcasting their productions. They continue to somewhat blithely stonewall and condescend on this issue, giving the usual excuses that theatre is meant to be ephemeral and that film and theatre are inherently different media. While I’m not disputing either. neither holds water as an excuse. 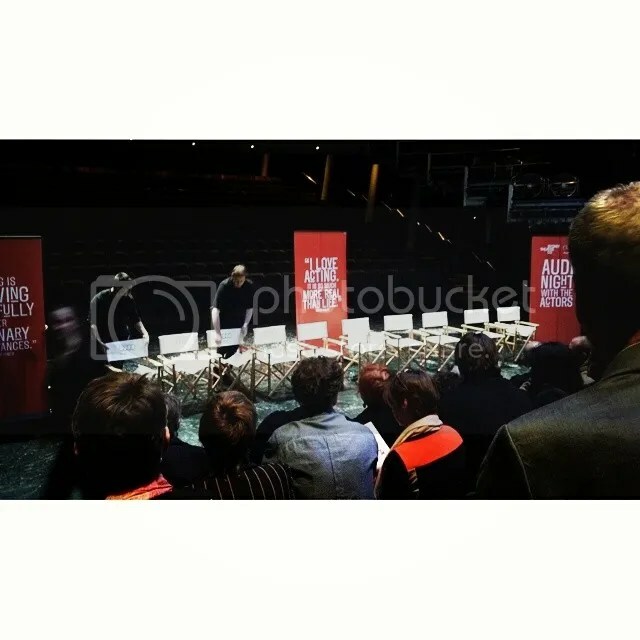 No one is asking for full-scale films requiring new scripts, sets and production design; we just want you to FILM THE PLAYS as staged, either for simulcast to cinemas (a la the UK’s National Theatre or New York’s Metropolitan Opera) or VOD paid streaming. No, this wouldn’t be as ecstatic as seeing the play in person, and couldn’t fully capture the essence of that experience. But it’s the only option for the vast majority of global audiences eager to see these plays, and can’t afford to fly to Sydney to see a play. I am grateful that the STC tours some productions (including The Maids, starring Cate Blanchett and Isabelle Huppert, which I’ll be seeing next week.) But they can’t tour every production, and certainly can’t tour any production worldwide: these are popular actors with many different demands on their time. Even fans within reasonable distance of some cities STC tours to can’t afford tickets that cost up to $250 (what I paid for mid-orchestra seats at The Maids– bought directly from Lincoln Center, by the way, not a scalper or ticket agency). Yes, there are often reduced-rate/student tickets or other last-minute bargain offers, but these are quickly snapped up and often require the buyer to be physically present at the box office first thing in the morning (which in a city like New York incurs a hotel or parking expense before you’e even gotten started) or aren’t nearly plentiful enough to meet demand. I’ve always thought it would be fun to see Shakespeare in Central Park, and the tickets are nominally “free”– but despite more entries in the online ticket lottery, I’ve yet to win. 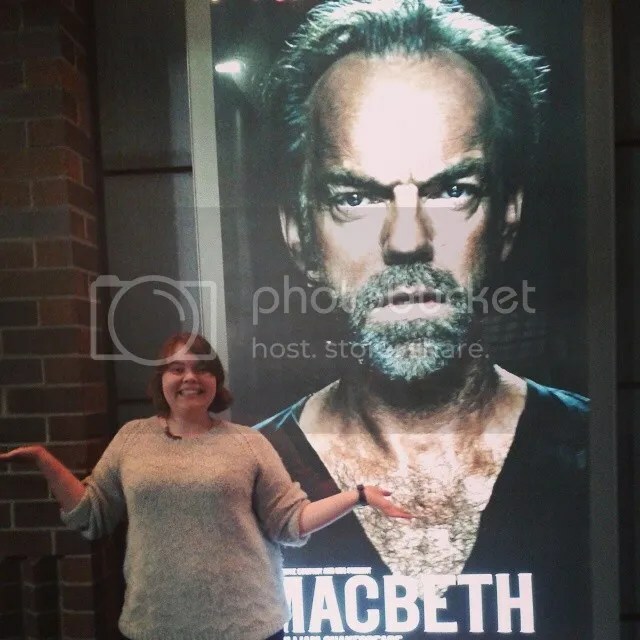 I know people trying to buy Suncorp Twenties tickets to Macbeth probably face similar odds. Sorry to go on about that, but I was provoked. 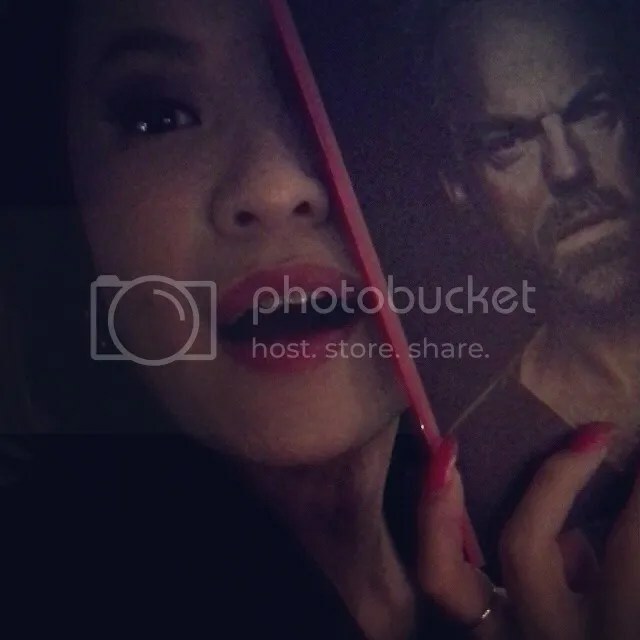 😉 Anyhow, here are the latest Macbeth review excerpts; I highly encourage you to click on the links and visit the sites of origin for the full versions. 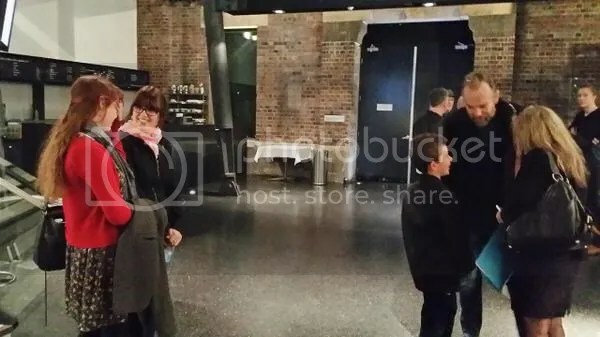 Interspersed are fan photos from lucky Sydney theatregoers who saw the production. Thank you all for sharing! The power of Williams’ production lies in the fact he is not afraid to create haunting images and let the text speak for itself, and create the fullness of the picture. 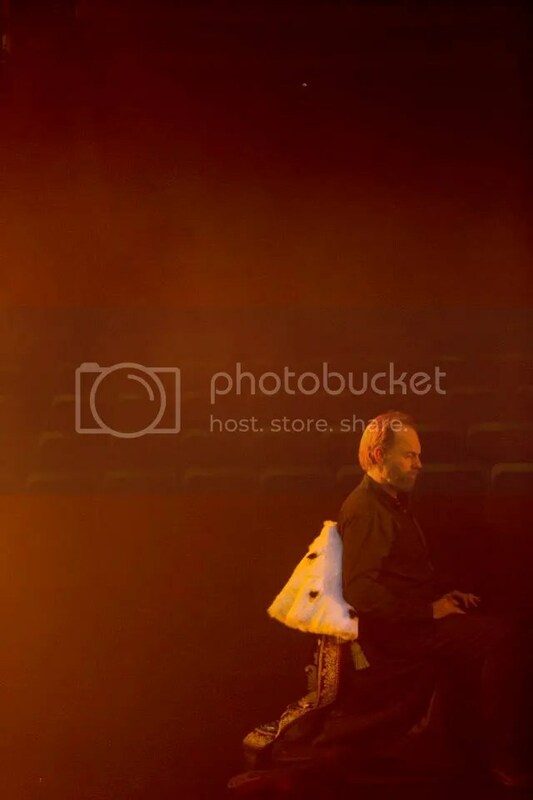 Notwithstanding, some moments are lost in the vastness of the Sydney Theatre… While Williams appears to have borrowed an aesthetic from Messers Stone and Andrews at times, he instead imbues it with heart and poetry, a moving theatrical grace, and each moment exists within this production’s world with a robust theatrical imagination and simplicity of stagecraft…. Kip Williams’ direction of the piece reflects an awareness of the diversity in his audience’s tastes. Shakespeare is left untainted and the celebrity actor is given ample room to flex his dramatic muscles for his legions of fans, but the stage is thoroughly explored around those prerequisites. Williams gives the crowd what they have come for, but also offers up fresh concepts and unexpected flourishes that prevent the production from ever appearing unoriginal or unambitious. Williams’ vision does not rewrite the 400 year-old play, and neither does it add significantly to its themes and ideas, but he uses the text to explore the nature of the art form in all its physical and emotive possibilities.” (The author promises the full review ion the next issue of Auditorium magazine) . So yes, Yvette, he’ll definitely be using those wine glasses. Might even dance afterward. 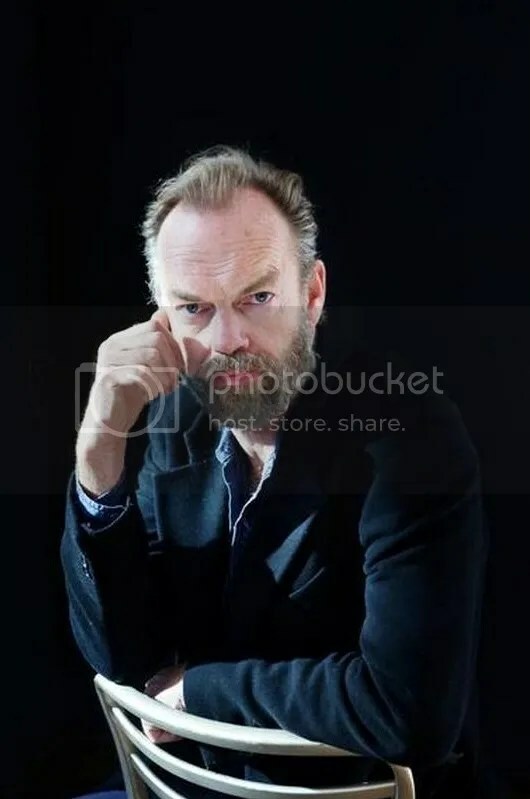 😉 I’d love to see a full transcript of this interview, if one exists: i have no idea if Hugo’s answers were edited from a longer interview in which the format was explained to him, or if he did so via phone or email, filling in answers at his leisure. There are some oddball segues, like discussing his childhood travels in response to the old Dirty Harry bit of sarcasm “Do you feel lucky?” 😉 There are some aspects of his life– like that– which he’s developed concise methods of talking about over the years, but he always adds something completely new and delightful without getting too confessional. 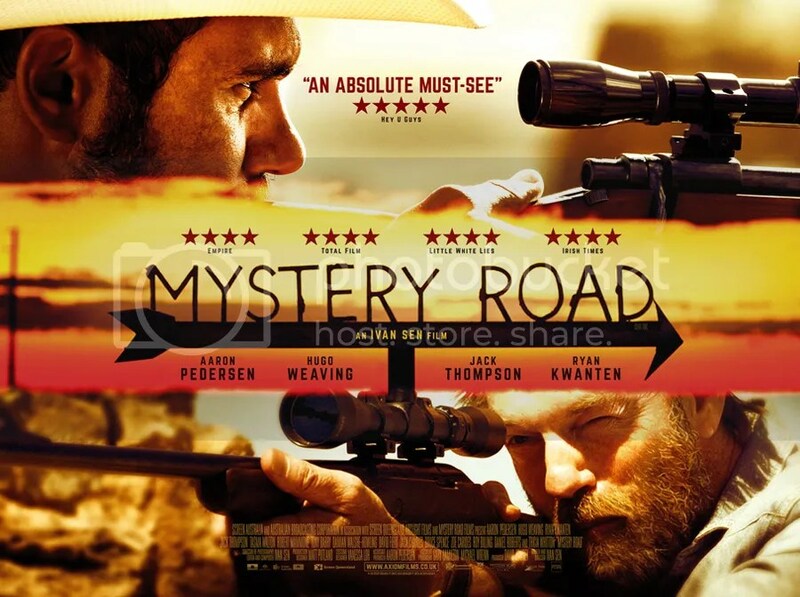 Mystery Road opens 29 August in the UK, distributed by Axiom Films. The US distributor Well Go USA has finally announced a release date for the DVD/Blu-Ray: 14 October. I’m still hoping for a theatrical release here, but have to say it doesn’t look good though VOD and cable are likely in the future. Mystery Road deserves to be seen on the largest screen possible, so if you missed its festival screenings or Australian release, try to see it at whichever friend owns the largest HDTV setup. (Or maybe your own? Lucky you. Expect calls from Hugo fan friends in your area.) 😉 Anyhow, you can see the pre-release box art at Ace Showbiz. Gotta say I much prefer the sepia tone box art to the garishly-hued US promo posters, though the laconic Aussie poster featuring Aaron Pedersen is probably still my favorite. Amazon is taking pre-orders, but as always, do shop around. No specifics on the DVD extras yet, but I’d assume they’re comparable to the Australian release. You can read reviews of the film at The Edge UK and Total Film. Craig Monahan was interviewed by the New Zealand Entertainment Podcast, promoting the NZ release of Healing. Cat fanciers in the Hugo fandom (ie probably the majority of the Hugo fandom– Hugo himself is a longtime cat owner) will want to check out Cats on Film’s post about Proof and its feline star Ugly The Cat. 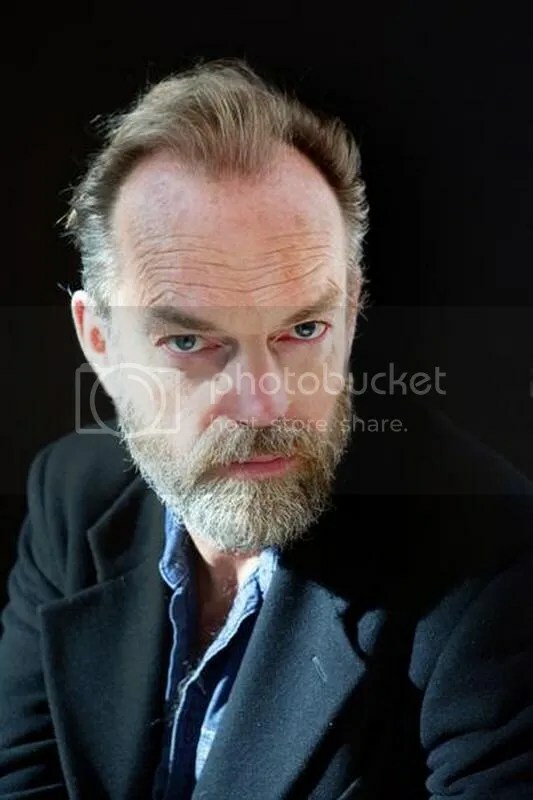 Some interesting trivia: in Jocelyn Moorhouse’s original screenplay for Proof, published in 1991, Ugly has a larger role, is adopted by Martin and is seen in many additional scenes at Martin’s house. Tim Winton’s The Turning recently re-aired on ABC (Australia); Australian viewers can now watch individual segments on iView. While I’m always skeptical of unnamed sources, The Mirror did apparently do its homework and ask Gandhi directly. 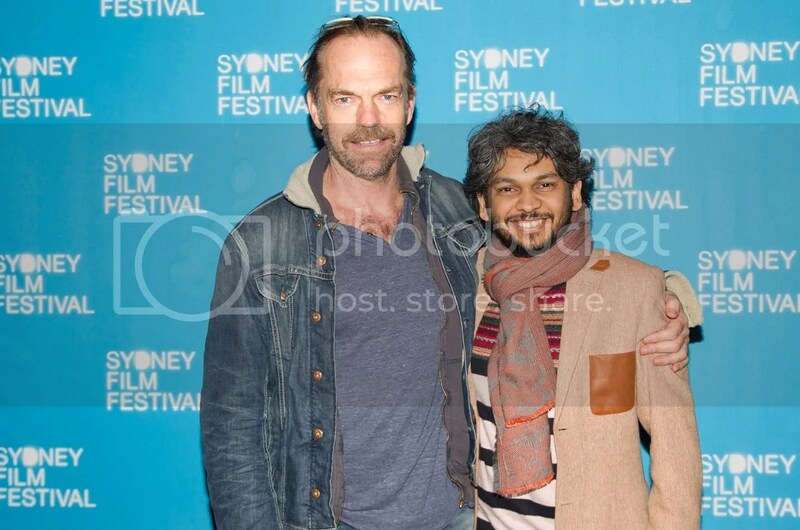 The error confusing SFF with MIFF is repeated through all subsequent versions, though American Bazaar Online did provide correct details about Sydney in its own reporting. (I suspect a lot of people simply copy/pasted the Mirror quote without checking its content… and frankly that’s not the important part of the story so long as the Anand Gandhi quote is accurate.) Gandhi hasn’t yet officially confirmed the project through his Twitter account or Blogspot site (though both have tons of thought-provoking content well worth a look). Reviews for STC’s radical reinterpretation of Macbeth continue to be largely positive, though individual critics liked and disliked different aspects of the production. 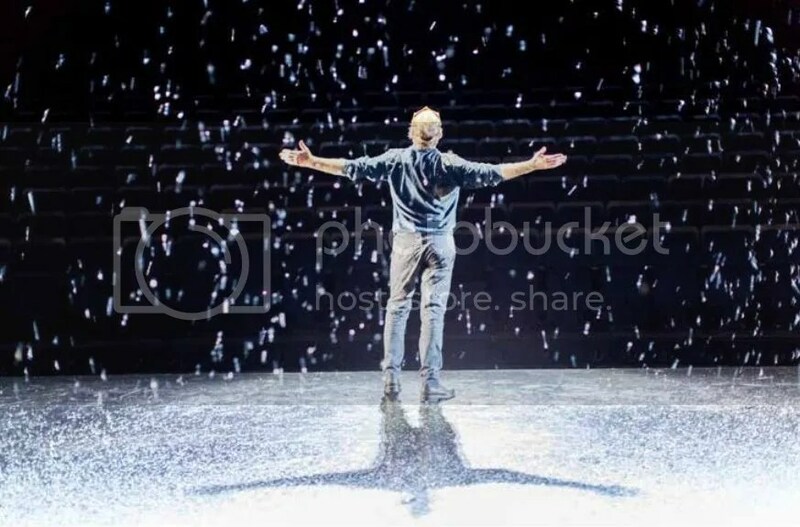 Sydney Theatre Co finally posted a generous gallery of Brett Boardman’s production images (though curiously not ALL of them– a distance shot of Hugo in a shower of glitter and the beguiling shot of him brooding in the empty theatre seats, which I posted to the previous entry, are absent). 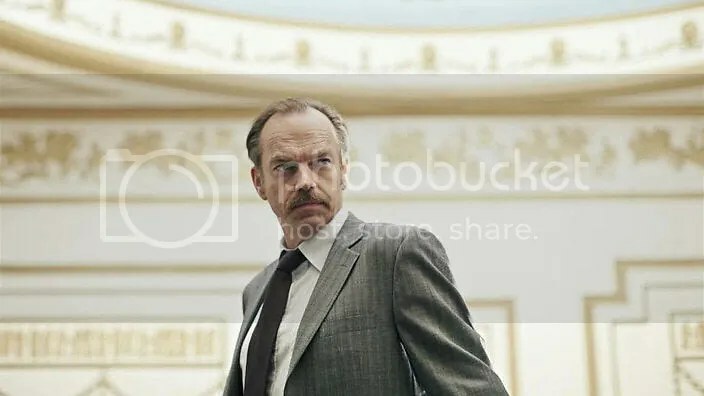 But STC did include a few previously unseen shots, larger versions of images posted in reviews, and different versions of some images (different ratio or cropping) so fans should definitely take a look. I’ll be adding a selection between the latest review quotes as well. As always, do click on the links for sites of origin, as most of these are well worth reading in their entirety. In the opening scenes, where we hear of the Thane of Glamis’s battlefield deeds, Weaving sits off to the side, luring the eye in hulking silence. Finally he delivers his opening line on the bewitched heath — ‘So foul and fair a day I have not seen’ — and from that paradoxical and melancholy moment we are bound to this violent, confused and frightened man. It is a performance of utter psychological complexity: Weaving has thought hard about this terrible and largely inexplicable character and the result is an interpretation full of insight and humanity. Weaving’s sonorous delivery makes every line count. 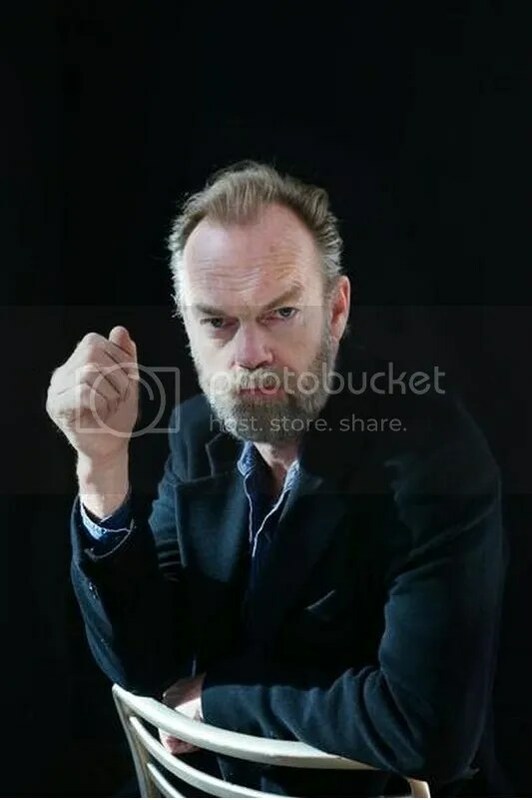 The combination of the authority of his voice and his imposing physical presence charges even relatively minor speeches, such as when he walks almost into the audience to muse darkly about young Malcolm: ‘Stars hide your fires! Let not light see my black and deep desires.’.. The small cast — only eight actors — necessitates a lot of doubling, which is not my favourite thing. I suspect people who do not know the play well may find it confusing at times. 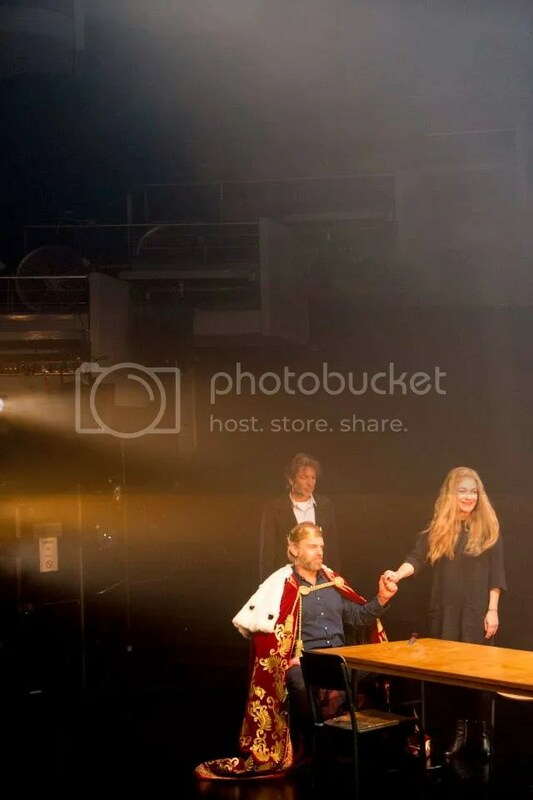 And while I have no problem in general with women playing male characters this is a play with questions of manhood at its core and I did have some difficulties with Paula Arundell as Banquo and Kate Box as Macduff. I accept that their femininity can be seen as emblematic of the civil and political order Macbeth is slashing and burning — but then I wonder just how orderly things were anyway. Isn’t the world of Macbeth short and brutish — and dominated by brutes — from the outset?.. 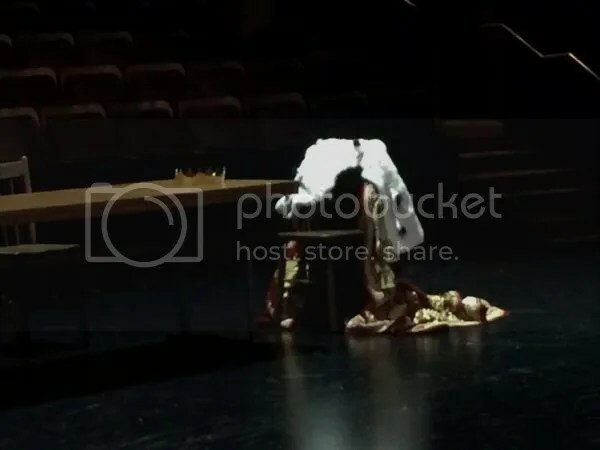 Being stripped of context and costumes enables the audience to become truly immersed in the story itself, because there is literally nothing else to focus on besides Shakespeare’s words and the performances of the actors. There is nothing that they can hide behind, which only highlighted how truly talented the ensemble truly was. I have no qualms with admitting that it was the best performances of anything that I’ve ever seen. Weaving was an inspiration as the doomed Macbeth. Any words that I use to describe his command of the stage would be doing him a disservice. However, I will say that watching him fall into insanity was a disturbing pleasure. 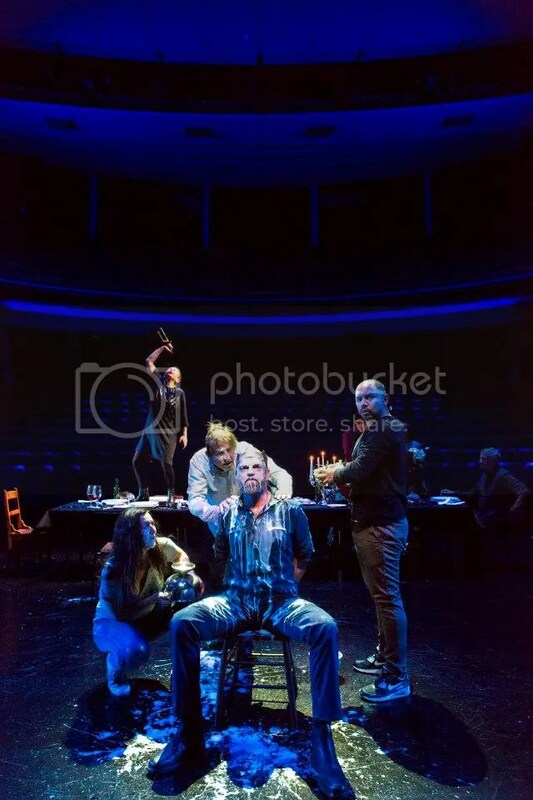 The cast that supported him were also incredible, and I often found myself being mesmerised by Lady Macbeth (Melita Jurisic) and Banquo (Paula Arundell)..
Weaving’s performance is captivating. In particular, his pacing is wonderful to behold. He has a habit of pausing and running on at unusual points, which keeps a listener’s interest. While we await US distribution (likely to be mostly VOD/DVD.Blu-Ray focused at this point, alas…) there are more specifics available for UK DVd/Blu-Ray issue; Axiom films has the UK rights and plans a 27 October release, according to Blu-Ray.com. No details on the home video extras yet, but I assume they’d be comparable to last year’s Australian package. Axiom also lists a 14 August theatrical release on its website, though I suspect it’ll be limited to arthouses. But I commend Axiom on at least releasing it to cinemas at all… I suspect US audiences who missed last year’s festival screenings won’t even get that much. Please prove me wrong, Well Go USA! Also, Foxtel plans on a VOD release in Australia later this year, according to Mystery Road’s Facebook page. Finally, there’s a positive new review up at Electric Sheep Magazine. If you’re in the Washington DC area next month, Manny Gets Censored, a short film narrated by Hugo Weaving, will be playing as part of the DC Shorts Festival as part of Showcase 4 (since the film is only eight minutes long, it’ll be screened as part of an 8-film, hour and a half block). If you’re not able to attend in person, the festival does have an Online Festival component allowing access to all 100+ festival shorts; alas, only those buying tickets at DC-area box offices will get the very-reasonable $15 price for this access; all others get a rather steep charge of $35. However, the DC Shorts website does feature a generous gallery of free online short films from past years’ festivals, so patience might eventually pay off if $35 for eight minutes of Hugo narration is a bit much. (If the other short films scheduled sound promising, that might balance things out a bit…) Also, the film now has a Facebook page which should update if additional screenings or online viewing opportunities become available.